Whitwell Garage is located in the village of Whitwell on the Isle of Wight and has been in the Day family for over 40 years. We pride ourselves on excellent customer care and have been credited with Ford's International Chairman's Award for outstanding customer service. Since 1992 we have been a Ford Retail Dealer. While we specialise in Ford vehicles we are able to service and maintain any make and model of car. 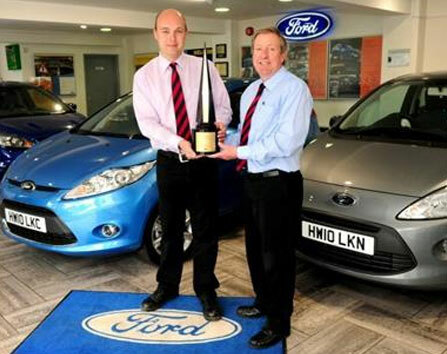 The prestigious award was handed over by Ingvar Sviggum, vice-president marketing sales and service, Ford of Europe, and Nigel Sharp, managing director Ford of Britain, after it was rated one of Ford’s finest UK dealerships by its customers.